UPDATE – May 24: Disney’s Animal Programs has landed on Luna as the name for the baby elephant born late last Thursday. With Latin roots, Luna means moon in multiple languages. Disney’s animal care team wanted a name that best suited the female calf’s shining personality as the brightest light among the herd. 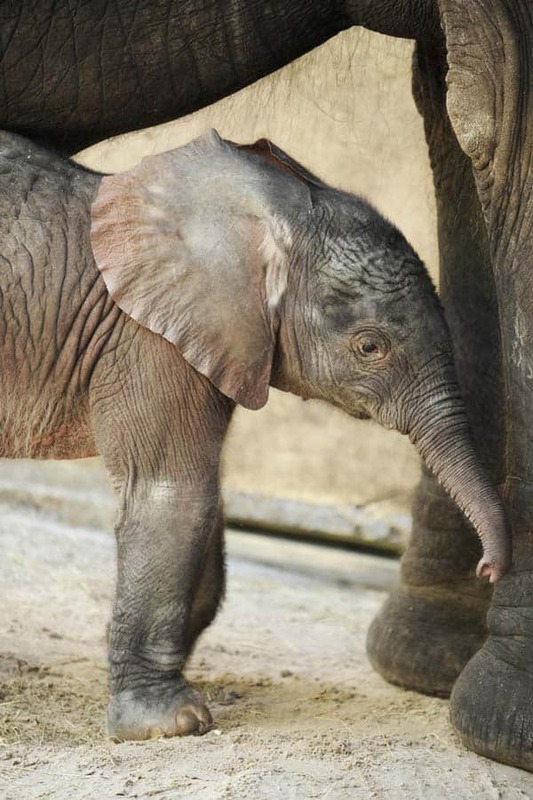 Weighing 288 pounds at birth, Luna is the fifth elephant born at Disney’s Animal Kingdom. She joins the herd of thirteen, which now includes five males and eight females. Luna’s mother Donna is reportedly doing well after gaining more than 400 pounds during the 22-month gestation. Animal experts describe her as a model mother, taking excellent care of her newborn calf. Mother and child remain backstage while the calf becomes acclimated to other herd mates. I’m thrilled to share with you the fantastic news that we have a new baby elephant at Disney’s Animal Kingdom. Our 22-year-old elephant Donna gave birth to a 288-pound female calf late last night after a 22-month gestation. Right now, baby and mom are in their backstage home, but in several weeks we expect them to join the rest of the elephant herd on the Kilimanjaro Safaris. The new baby (no name yet!) is the second calf for Donna, who gave birth to a female calf, Nadirah, in 2005. This birth raises the number of elephants in the Disney’s Animal Kingdom herd to thirteen, including five males and eight females. Elephant births are among the most amazing and complicated processes in the animal kingdom. Our animal care team has worked with Donna attentively throughout the course of her pregnancy. At this point, we’re optimistic for the calf’s likelihood of survival and are thrilled that both Donna and her calf are doing well. Donna became pregnant through artificial insemination in July 2008 and received extensive pre-natal care throughout her pregnancy. In addition to regular ultrasounds, veterinarians and elephant managers monitored her hormone levels on a daily basis to help them determine when she would give birth. Labor appeared imminent last night and the animal care team stayed with her to provide round-the-clock care until the female calf was born around 11:30 p.m. 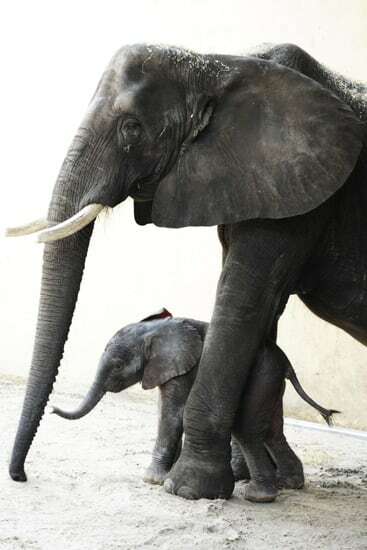 This is the fifth elephant born at Disney’s Animal Kingdom. In addition to Donna’s first female calf, Nadirah, Tufani, a male, was born in 2003; Kianga, a female, was born in 2004; and Tsavo, the youngest male, joined the herd in 2008. All remain on the savannah at Disney’s Animal Kingdom. I am very proud to say that the Disney’s Animal Programs team has been at the forefront of efforts to better understand and care for endangered elephants. Disney’s Animal Kingdom is part of a breeding program coordinated by the Association of Zoos and Aquariums that is focused on sustaining the elephant population in North America. AZA’s Elephant Species Survival Plan has called for a five-fold increase in African elephant reproduction efforts – using both natural and artificial breeding methods – in order to create a self-sustaining elephant population among North American zoos and wildlife centers. And our team and the Disney company also support elephant conservation in the wild. For example, the Disney Worldwide Conservation Fund and the Disney Foundation have directed over $1 million to projects in 20 countries to help protect and conserve elephants. Elephant fun fact: An elephant calf learns how and what to eat by watching the older elephants. Congratulations Donna!! You have a beautiful baby, Luna!! God bless you both. These are such cute pictures of baby Luna! Did you photograph these? AAwwww, I love it!!! My husband’s last name is Luna. The baby elephant is so cute. I will be there August 5-11th hope to see her! Wow! That has to be one of the most precious things I’ve seen in a while. Congratulations Animal Kingdom! You’ve got a great “new addition” there. Congrats to Mommy and the animal care staff! We were lucky enough to take the Wildlife Discovery Excursion at AK last week, and were told of the imminent birth, so we’ve been anxiously watching the blog for this news. Thanks again to Danielle and Jonathan for an amazing experience, and great work with the animals! Congratulations to Donna on her baby girl! She is so sweet! This birth is so exciting. You should have a contest to give the baby elephant a name. So beautiful to see the mamma and the baby, but disappointed that baby was born in captivity and especially by artificial insemination. Congrats on the arrival of your baby girl!! I am so excited that we get to see her in a couple of weeks!! 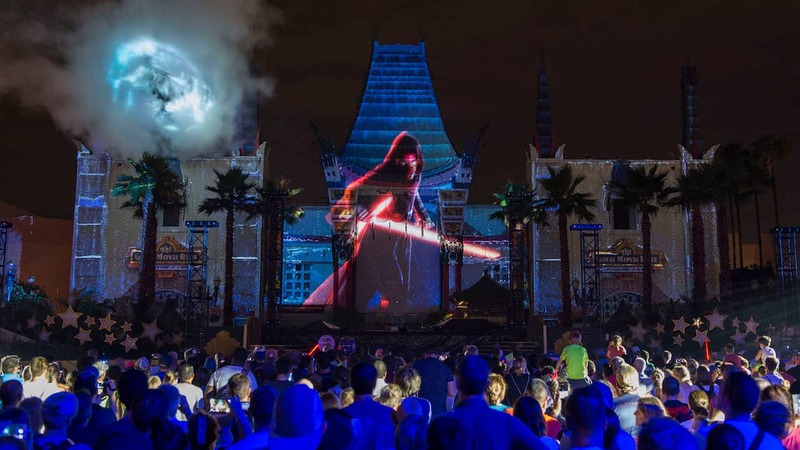 Congrats Disney! This is wonderful news for those of us in Louisville Kentucky who just last week lost our 3 year old African Elephant (Scotty) to an illness! He was more than just an elephant to our town – he was family! Glad to hear about the birth of your new baby girl! Amazing, hope we get to see her in August! OHHHHHHH! She is so cute! I can’t wait to see her in June!! When babies are born at Disney, who names them, the caregiver? “Happy Birthday Baby Girl!” We can’t wait to meet you! Awww! Can’t wait to see her when I go! How Cute is she 🙂 can’t wait to see her in person she is Disney Perfect!! What a beauty!!! Congratulations to all! This new baby and I share a birthday!! Can’t wait to see her in July! So what date was she born on? How sweet!! Can’t wait to see her when I bring my daughter in Sept.! She’s beautiful! ahh….can’t wait to see her. I must be so fulfilling to be an animal handler and have this success! Congrats – Cheers little one! Happy Birthday baby girl! I can’t wait to introduce you to my little girls. They love these photos! I can’t wait to see the new baby when I visit Disney’s Animal Kingdom in August! Congrats! !